As expected, Microsoft have made substantial changes to Analysis Services (Tabular Model) 2016, but the multi-dimensional model is (as far as I can see) unchanged. 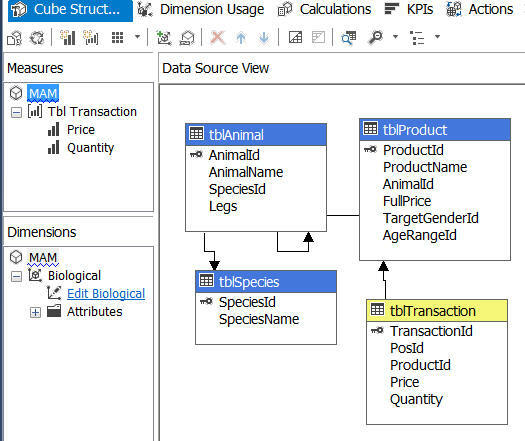 I've already blogged on the fact that I think you'd be mad to choose multi-dimensional SSAS over tabular SSAS (particularly when Microsoft are so obviously only investing in the latter). Creating a cube - like everything else - seems unchanged between SSAS 2012 and 2016. Spot the difference? Me neither. About the only difference I can find for SSAS 2016 multi-dimensional model is that you can create distinct count measure groups.